For a vacation that allows families to experience adventure, relaxation and family time all in the same trip, a kid-friendly cruise is the trip to take. No matter the destination, younger kids and teens are not forgotten on many of these cruise lines geared toward families. From a Disney cruise to a voyage at sea with Dr. Seuss, here are our picks for the best cruise lines for families. Click here for more family cruises. Best Kid Features: Disney cruises feature an abundant amount of family-fun activities so they are always on the best cruise lines for families list. The Oceaneer Club for kids age 3 to 12 brings the Disney magic to life on this family cruise. Kids will enjoy character performances, storytelling, giant playgrounds, dress-up play, games, and arts and crafts. The specific themes and play spaces depend on which ship you choose, but Andy"s Room (where the Ã¢â‚¬Å“Toy StoryÃ¢â‚¬Â bedroom comes to life), Pixie Hollow (Tinker Bell"s world), Monster Academy (the Ã¢â‚¬Å“Monsters, Inc.Ã¢â‚¬Â Monstropolis) and the Star Wars Millennium Falcon (where kids can step inside the cockpit of the starship) will have kids (and parents) amazed. The AquaDuck, a water coaster waterslide, is on the Disney Dream and Fantasy ships, and is especially fun at night. After a day of play, it"s off to any one of the many live shows featured, or The Ã¢â‚¬Å“Pirates of the CaribbeanÃ¢â‚¬Â deck party with fireworks. Onboard Disney Fantasy, there"s also a brand new Star Wars Day at Sea, where kids can get Jedi training, meet the characters and enjoy Star Wars-themed parties and shows. 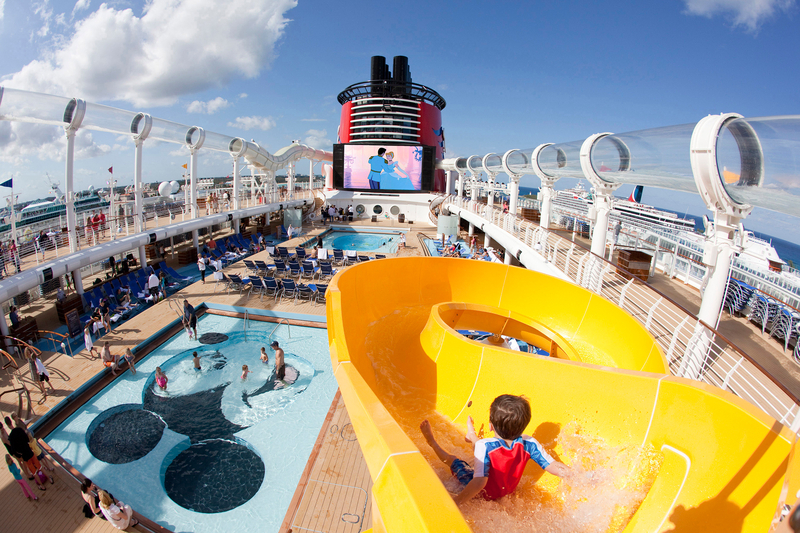 Best Parent Features: Parents really can"t go wrong with a Disney cruise. An adult-only pool can give parents some peace and quiet and a cabaret show or dance party gives them time to unwind. On the Disney Dream ship, adults will want to explore The District, an adults-only area filled with lounges, bars and nightclubs. Disney dining options offer themed and kids" meals and a program called Dine and Play, where kids can enjoy their meal early and then be escorted to kids" club, allowing parents some adult time. Castaway Cay is Disney"s own private island port-of-call and features white-sand beaches, bike and walking trails, a sports beach, snorkeling lagoon and Scuttle"s Cove, which is a supervised kids" club with water play and activities for the kids, so mom and dad can explore the island on their own. Family-Specific Accommodations: Deluxe rooms and suites offer families more living space, plus bathrooms with dual sinks. Luxury, private verandahs one- or two-bedroom suite can also be found in Disney staterooms. Best Kid Features: Kids of all ages will find a club to enjoy onboard Royal Caribbean, which is considered a great cruise line for families. From babies to teens, there is fun to be had throughout the entire family-friendly ship. 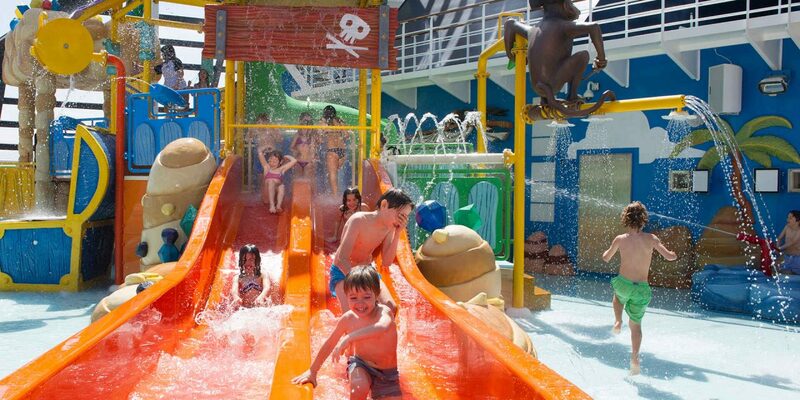 A video arcade, water park, rock climbing wall, surf simulator, zip lining, ice skating rink, mini-golf course, teen-only hang-outs, a teen spa and a basketball court are just a few of the things within the Royal Caribbean Cruise Line that will have kids screaming with delight. Within in the Quantum of the Seas class of ships, cruisers can find even more onboard activity extremes with RipCord By iFly (a sky-diving simulator), North Star (a capsule that ascends 300 feet above the sea), and the SeaPlex (an indoor space with roller skating, circus school and bumper cars). The DreamWorks Experience, with characters from Shrek, Kung Fu Panda and Madagascar to name a few, is also only on Royal Caribbean. Kids will love meeting the characters throughout the ship and at meals, and they can enjoy exclusive shows and movies, too. Best Parent Features: Ã¢â‚¬Å“My Family Time DiningÃ¢â‚¬Â is offered on Royal Caribbean, along with Ã¢â‚¬Å“Sitters at Sea,Ã¢â‚¬Â both allowing for family flexibility. Royal Caribbean is ideal for teen cruisers, too, so parents can ward off as many eye-rolls as possible and teens can enjoy movie nights, BBQs, and a teen-only nightclub. Family-Specific Accommodations: The staterooms vary by ship, but many feature deluxe rooms and suites with private balconies. Best Kid Features: The complimentary youth programs for ages 3 to 17 onboard Norwegian include activities like circus school, sports, movies, video games, parties and a nighttime dance club for teens. Kids will also love the waterslides, sports complex, ropes course, rock climbing wall, bowling and the Plank, where kids can actually walk the plank 8 feet out over the water. Best Parent Features: Dining is flexible onboard Norwegian ships, where kids" menus are available and kids under 3 eat free. Group babysitting in the evenings when a ship is in port is also available for an additional charge. Parents will also love the variety of live shows from Broadway and comedy to live jazz music and aerialist shows. Family-Specific Accommodations: The Mini-Suites, Family Balcony and Balcony staterooms are all great for families of four, offering a sitting area, convertible or drop-down beds and space for storage. The two-bedroom family suites are also located near the kids" areas on the ship. Best Kid Features: Seuss at Sea is waiting for families on Carnival cruises. 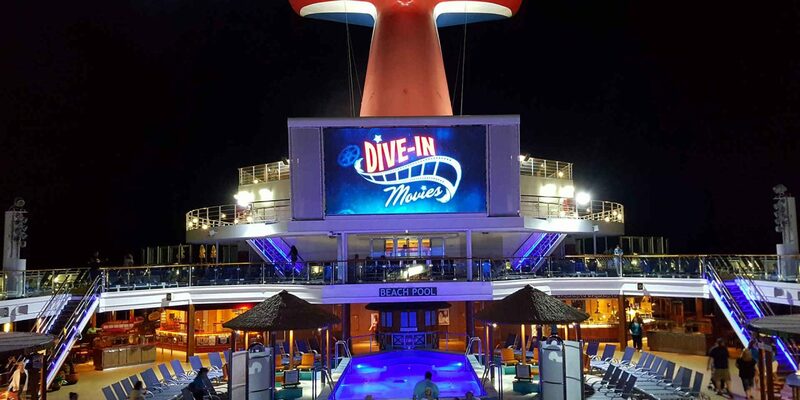 Kids and teens are easily accommodated on this cruise line for families with waterslides, an arcade, teen-only parties, hangouts and a spa, and an IMAX Theater. Kids will love to splash around at the WaterWorks pools and slides, and then hit the sky with a SkyRide or ropes course across the ship. Dr. Seuss story time and parades, mini-golf, and a sports complex will keep kids and teens busy on this family cruise. Feast with the Cat in the Hat at the Ã¢â‚¬Å“Green Eggs and HamÃ¢â‚¬Â breakfast and start your day off full of fun. Best Parent Features: A kids" club called Camp Carnival for ages 2 to 11 (included in the package) and an evening of babysitting services are available for parents to get a little break, too. Then parents can hit the adults-only Serenity Retreat area where they will find lounge chairs, hammocks, a bar and relaxation. Family-Specific Accommodations: The family-friendly staterooms can accommodate up to five people and there is an extra bathroom. Connecting rooms are also available. Best Kid Features: The MSC Cruises Kids Club for young kids and teens offers daily activities, sports, dance contests, video games and a teen spa making it a great cruise line for families. Aqua Park, waterslides and LEGO-themed playrooms (being added on select vessels for 2017) give kids plenty of opportunities to get creative. Kids will also love mini-bowling and the racing car simulator. Best Parent Features: Kids sail for free on select sailings and as long as two full-paying guests are within the same stateroom. Parents can also feel secure in knowing their child has on a security bracelet in case anyone gets lost and a beeper or phone can be rented so families can stay in touch while exploring the ship. Flexible meal times make life easier for parents and kids, too. Baby care for ages 1 to 3 and a baby laundry service bring great convenience to families with young children on this family friendly cruise line. Family-Specific Accommodations: The Super Family Suite can accommodate up to six people and includes two connecting triple cabins, two bathrooms and two balconies. This cabin also comes with a fixed per-cabin cost, not a per-person cost.